SUNNYVALE, CA--(Marketwire - April 30, 2008) - Real Intent, Inc., the leading supplier of formal verification software for electronic design, announced today that it has appointed Hideko Miyahara Duscha as General Manager of Asia, running Real Intent's new Japan office, which opened on April 14, 2008. Ms. Duscha and her organization will provide excellent pre and post-sales support to leading electronic companies across Japan. The new office will address the growing demand for the EnVision Family of verification tools from Real Intent. Ms. Duscha reports to Carol Hallett, VP Worldwide Sales. "Leading Japanese companies are concerned with effectively verifying their electronic designs, and it has become one of the fastest growing geographic markets for our formal verification software," said Carol Hallett. "Hideko's experience and connections will help us support our growing customer base, as well as connect us with new customers, who are demanding better quality verification software for their designs. By providing direct support focused only on Real Intent products, we are confident both existing and new customers will benefit greatly." Ms. Duscha has set up distribution channels and branch offices and help support customers for many emerging and leading EDA companies in Japan and Asia including Tera Systems, Exemplar Logic and Mentor Graphics. She holds a BA in International Relations from the University of California at Davis. PureTime™, automatic software for verifying timing exception constraints such as Synopsys Design Constraints for set_false_path and set_multicycle_path commands. Real Intent is extending breakthrough formal technology to critical problems encountered by design and verification teams worldwide. Real Intent's products dramatically improve the functional verification efficiency of leading edge application specific integrated circuit (ASIC), system-on-chip (SOC), and Field Programmable Gate Array (FPGA) devices. Over 40 major electronics design houses, including AMD, nVidia and NEC Electronics use Real Intent software. 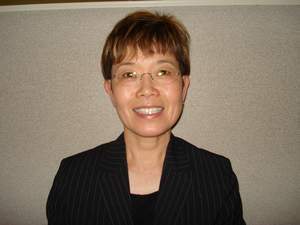 A picture of Hideko Duscha is available on request. Ms Duscha can be reached by calling 0467-25-7766 in Japan, or by e-mail: hidkeo@realintent.com. EnVision, Meridian CDC, Conquest, Ascent, PureTime, are trademarks of Real Intent, Inc. All other trademarks or registered trademarks are property of their respective owners.